After the teachers’ union objected to almost doubling the hourly pay for speech therapists, acting superintendent Eileen Shafer’s plan to provide compensatory time to special education children, who were deprived of sessions in 2016-17, this school year came to a halt. On Tuesday, the district and the union struck a temporary “sidebar” agreement that allows the school system to boost the hourly pay for district speech therapists from $34 to $75 an hour for beyond normal school day programs through Aug. 31, 2018. Speech therapists hired for the district’s Saturday Academy, afterschool, and summer programs will receive the higher rate. The district’s special education program has had a tough time in attracting and keeping qualified staff members. Many interviewed demanded a higher pay rate. Some quit after being assigned to schools in rough parts of the city. 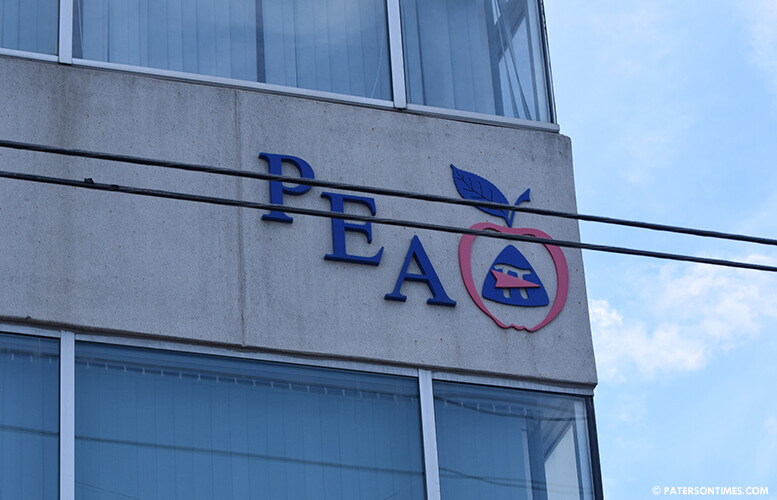 “Our students’ needs come first; and it is imperative that our district works diligently to find solutions to meet educational challenges,” said John McEntee, Jr., president of the Paterson Education Association, the teachers’ union, in a statement. McEntee said it broke his heart when he read the December letter the district sent to the Newark-based Education Law Center about the struggles the school system was experiencing in hiring staff to provide speech services to students. “What I noticed was how far behind we were from last year and how far we were now falling behind this year,” said McEntee. As part of the same agreement, McEntee secured one extra “family illness” day for staff members, who worked in the extended day program at School 6 and the New Roberto Clemente School in 2016-17 school year. The union had filed a grievance seeking compensation for time worked for that year. 146 employees at both schools will receive the extra family illness day. 71 from the New Roberto Clemente School and 75 from School 6, according to the district. The family illness day will revert to a “sick day” if it’s not used by Jun. 30, 2018. “We didn’t forget about them,” said McEntee of the staff of School 6 and the New Roberto Clemente School. Shafer thanked the teachers’ union president for working with the district to reach an agreement. She has had a far better relationship with the teachers’ union than her predecessor. Former superintendent Donnie Evans and McEntee had a rough relationship: McEntee had his members take a no confidence vote against Evans; Evans in return filed tenure charges against McEntee that were dismissed last month.